April 20, 2019: Black Love Convergence will explore how Black Love shapes our friendships, families, partnerships, communities, social justice movements, parenting, loving outside of the African diaspora, and our ability to strengthen alternatives to capitalism, patriarchy and white supremacy. Parenting for Liberation will hold space for conversations on Courageous Caregiving for Black Liberation in partnership with Dani McClain. Too often, our news media are filled with reports of yet another Black person killed by state or vigilante violence. We see not only the lives of adults, but also those of young Black children taken by those who purport to protect and serve. From Trayvon Martin and Jordan Davis to Aiyana Stanley Jones and Tamir Rice, Black babies’ lives are too often cut short. These conditions affect the ways in which we raise Black children. Many of us begin to parent from fear — fear that one day those headlines will announce the death of our own child. We often attempt to prevent the unthinkable from happening by using harm reduction techniques that, in turn, limit our children’s humanity and wholeness. This space offers Black parents and caregivers an opportunity to share stories of how they raise and nurture Black children in a world that does not always want them to thrive. In a well-supported space that includes embodied practices such as movement and focused breathing, caregivers will be invited to share even their ugliest truths and fears, while simultaneously celebrating the joys of the Black family. 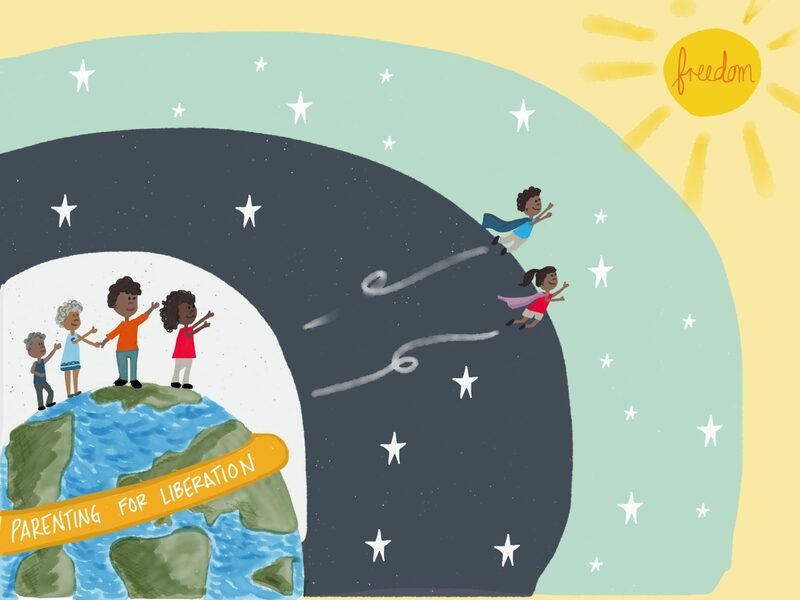 This workshop will introduce Parenting for Liberation — a hub where parents can find resources, tools, and strategies for how to raise Black children to be free and whole in the face of multiple oppressions. We will also introduce participants to tools included in the newly published book WE LIVE FOR THE WE: The Political Power of Black Motherhood. Together, we will engage in storytelling as a powerful tool for liberation and conclude with an invitation to digitally record stories that will make our collective voices and knowledge accessible to all. Next Next post: Parent Training for Watts/Willowbrook community!